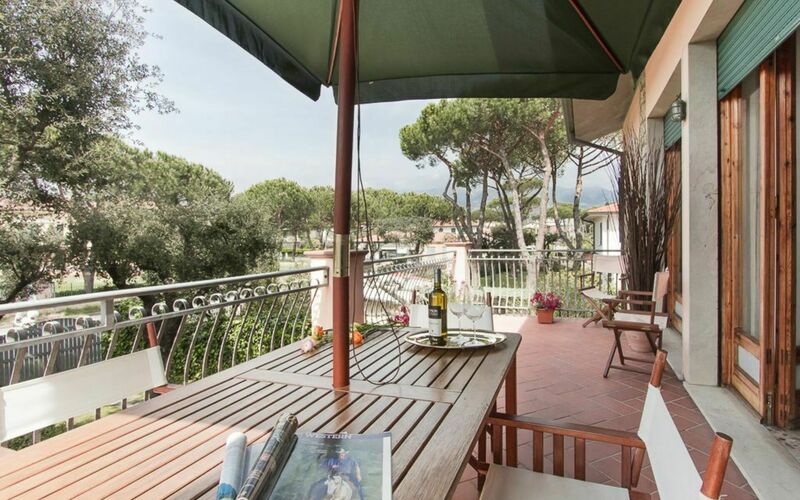 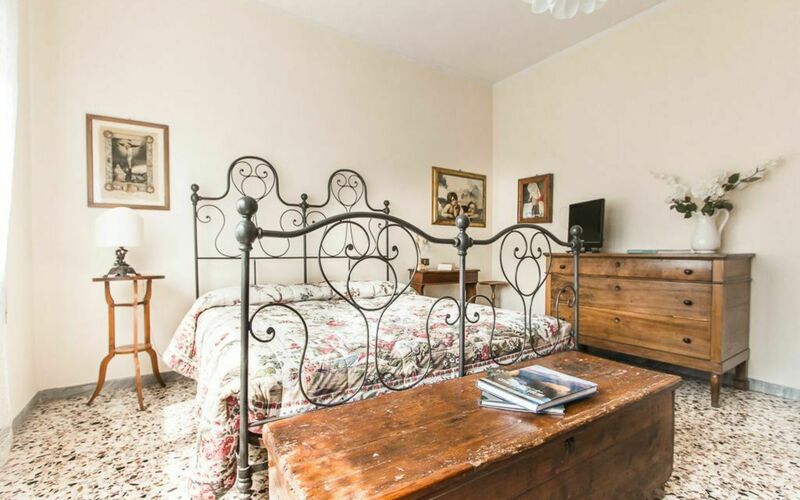 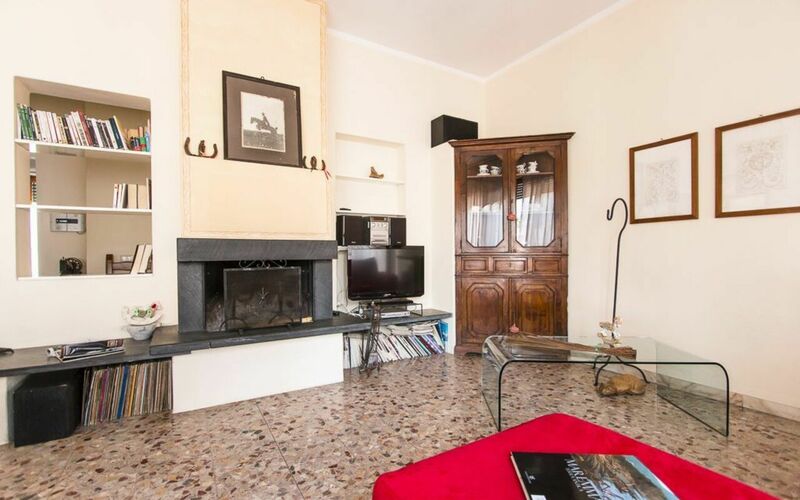 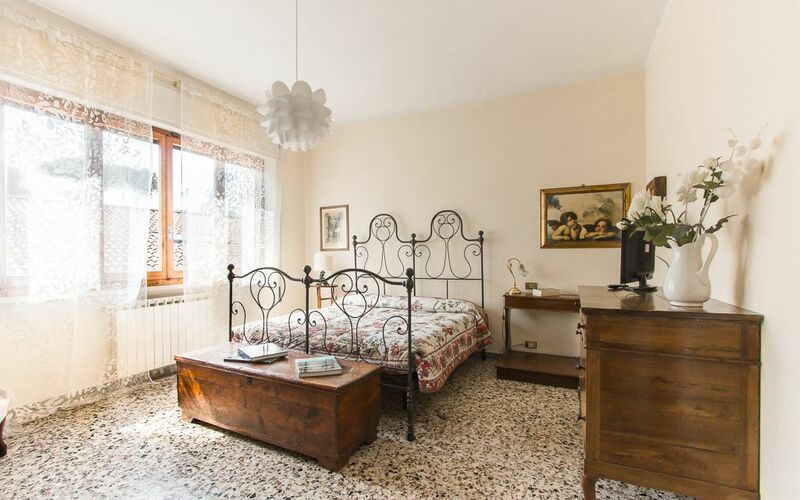 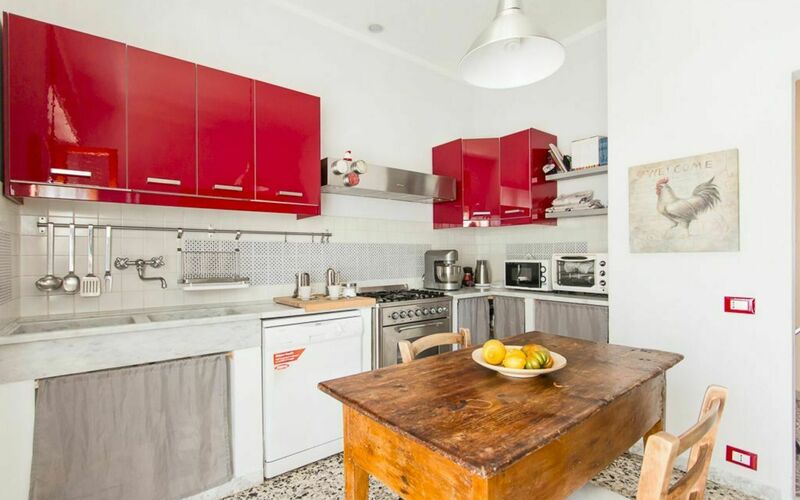 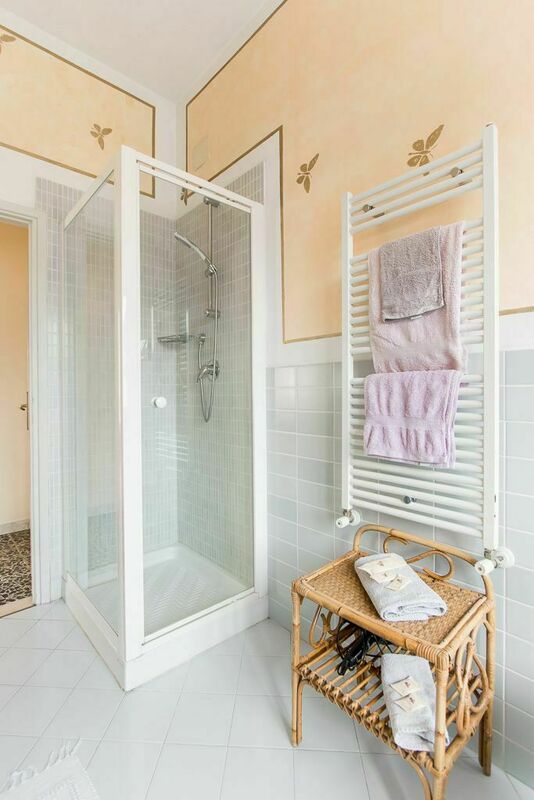 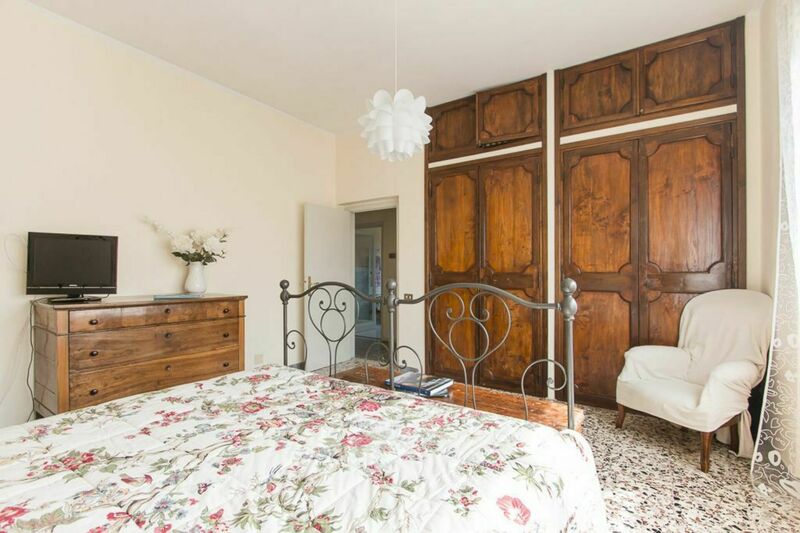 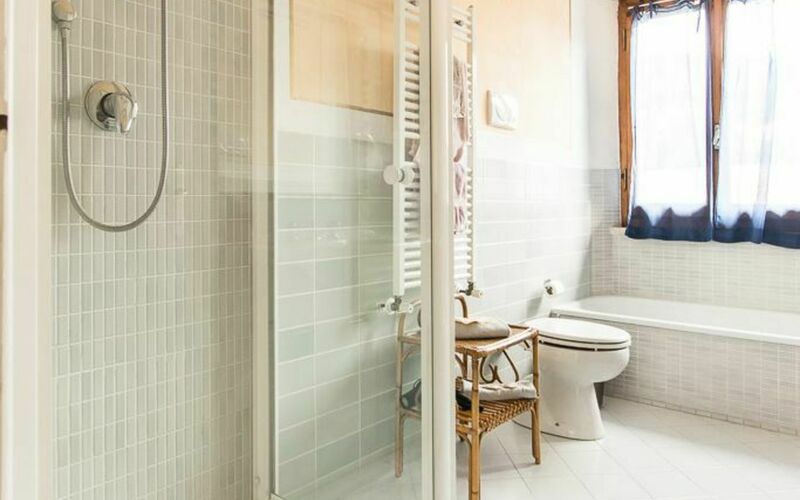 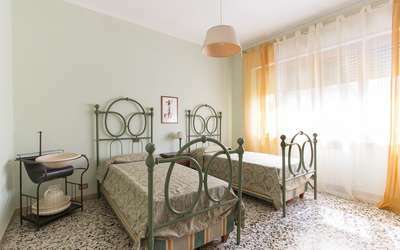 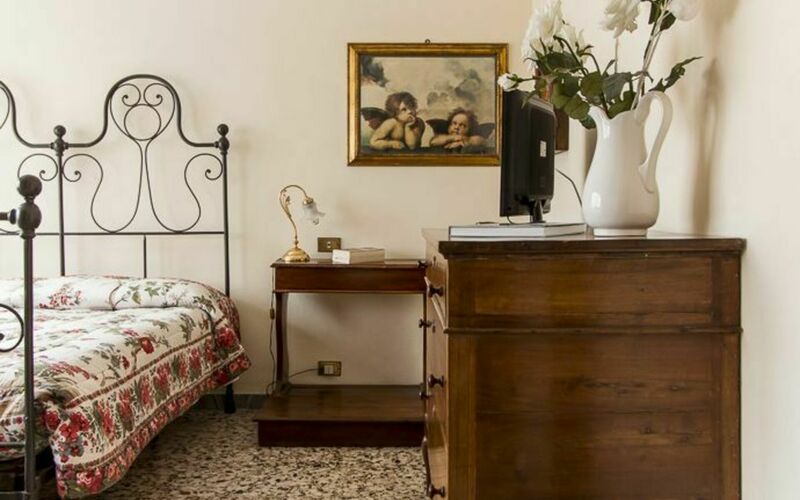 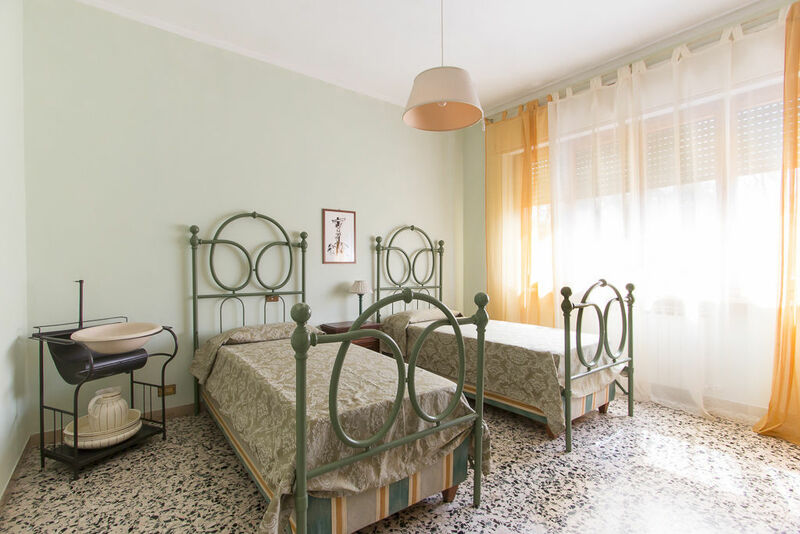 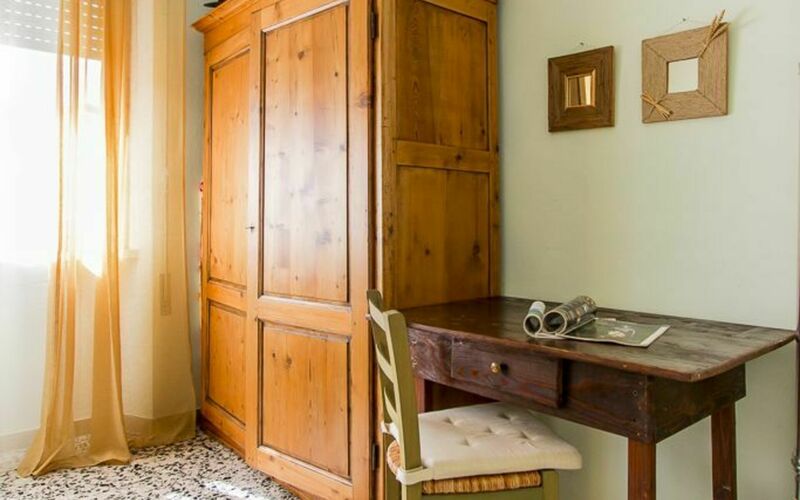 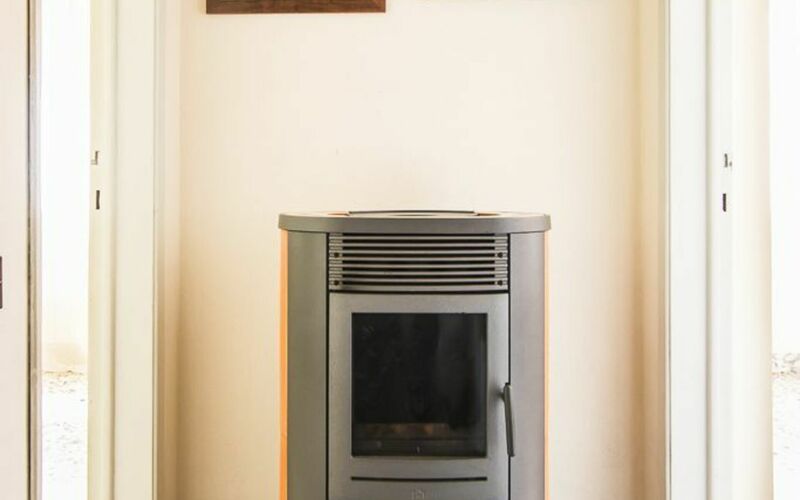 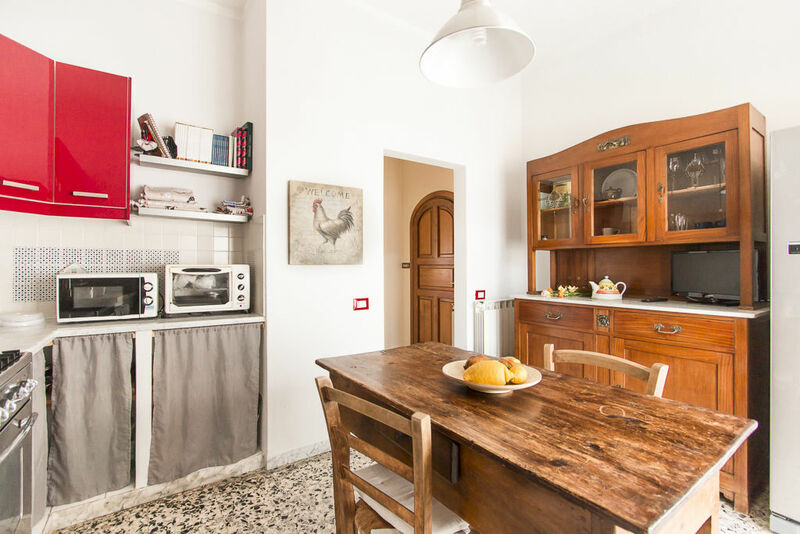 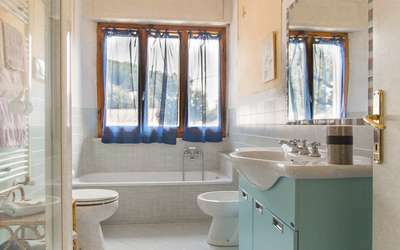 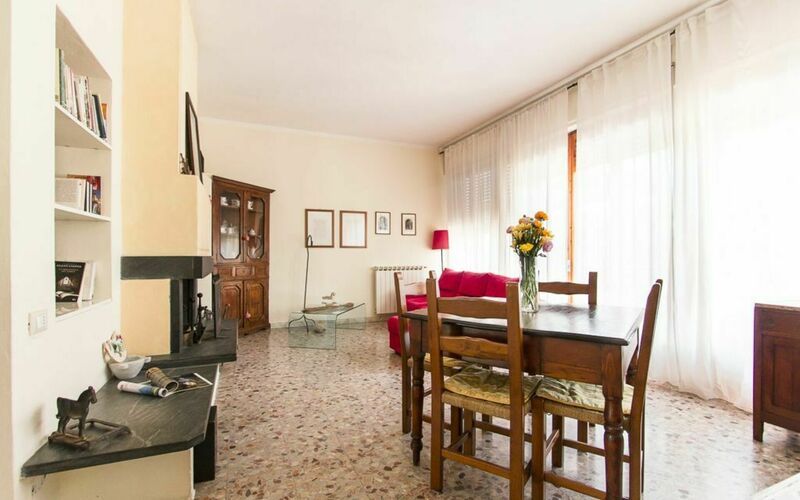 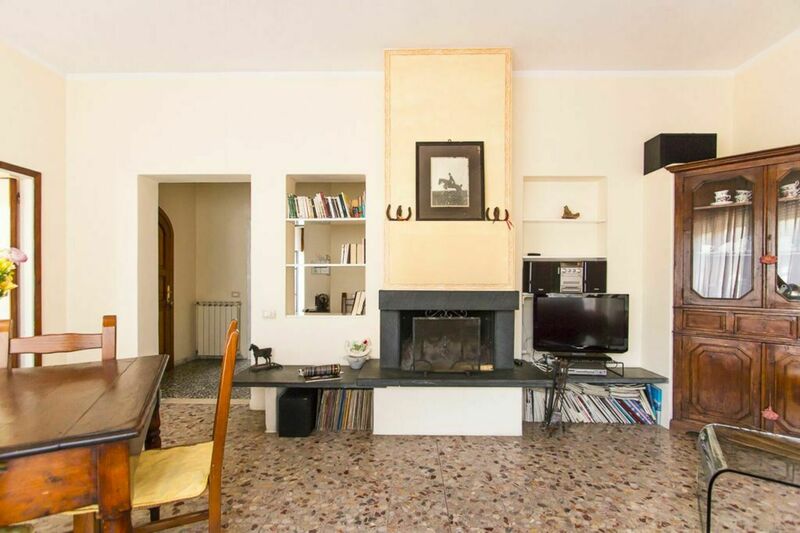 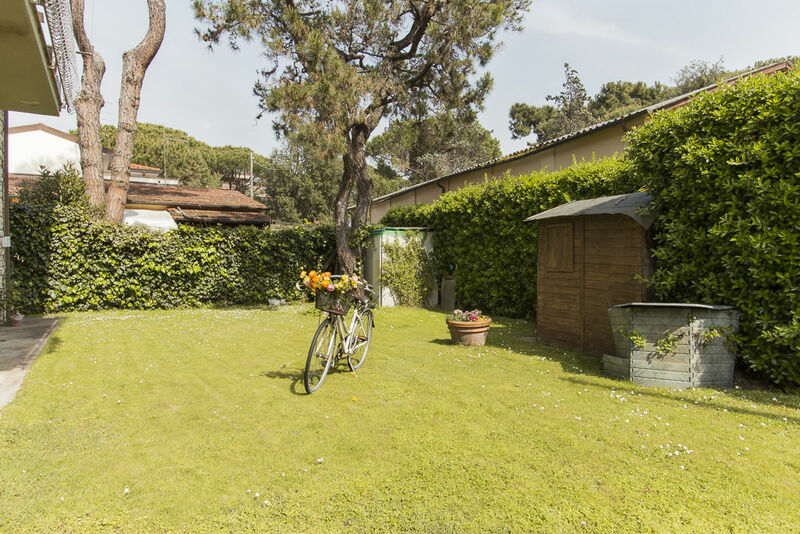 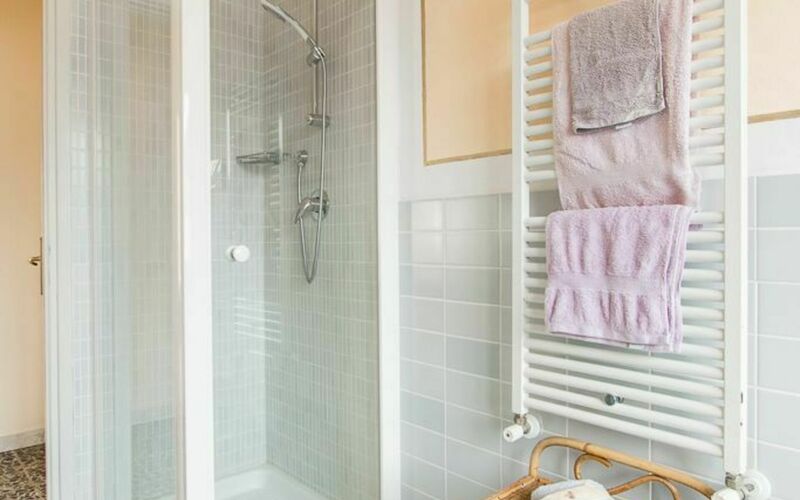 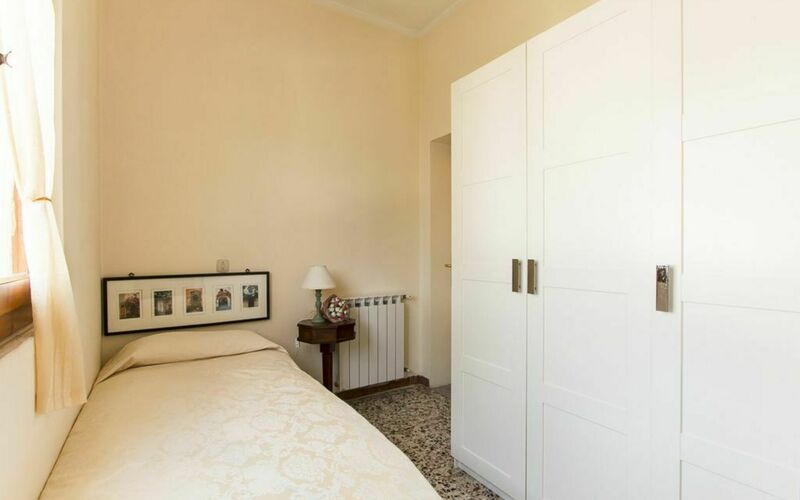 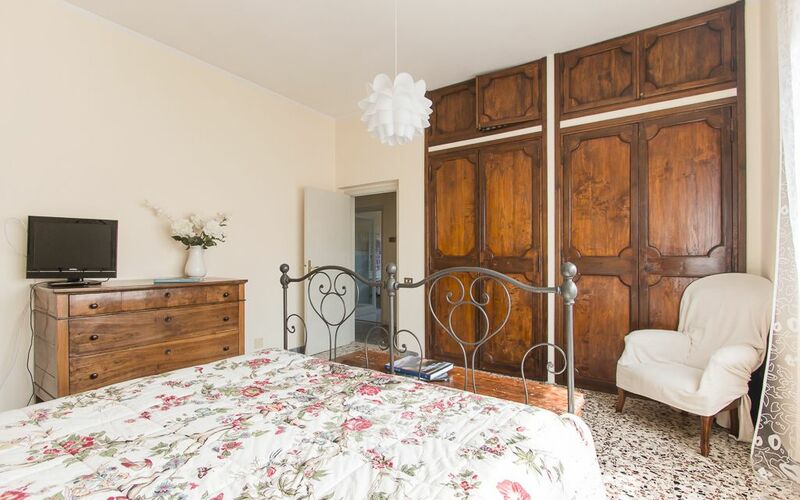 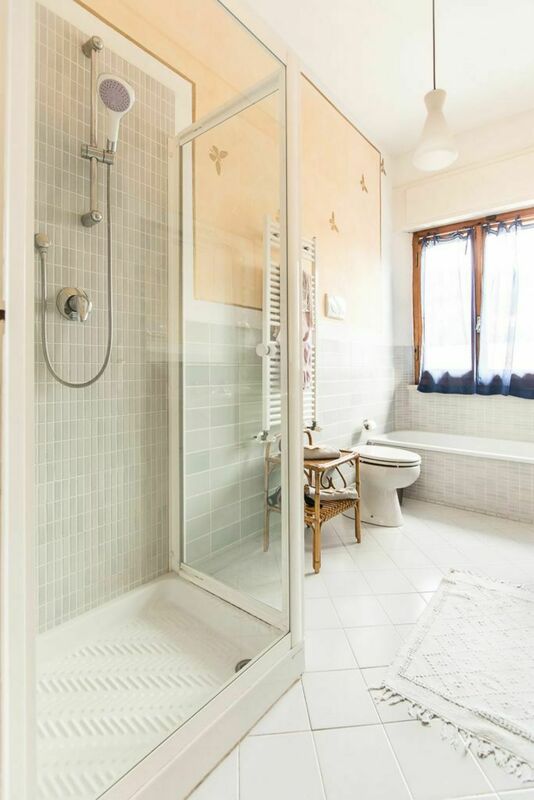 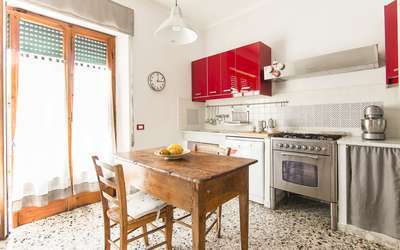 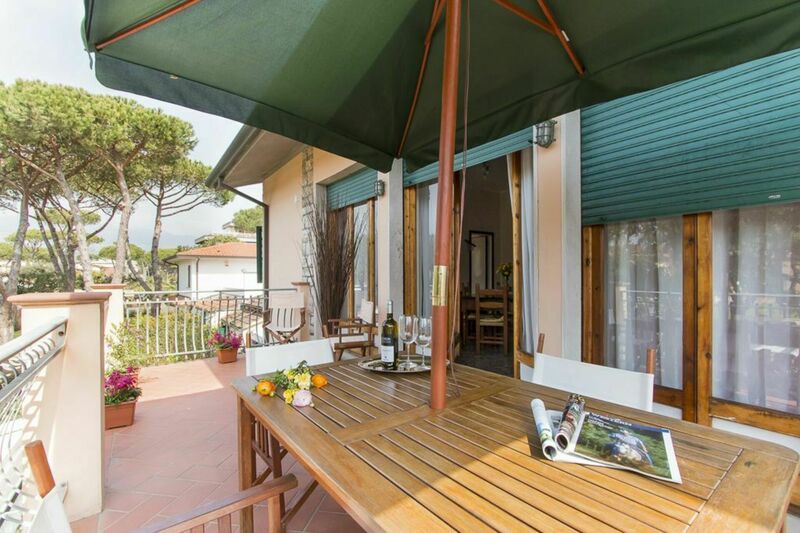 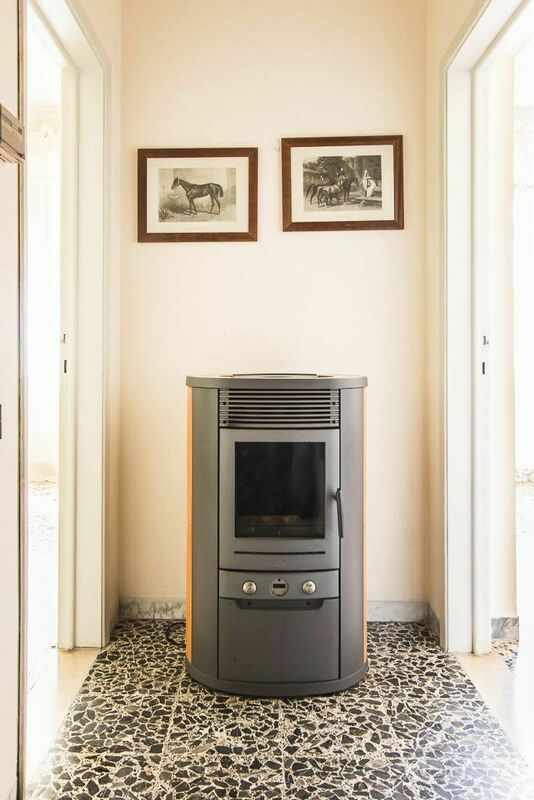 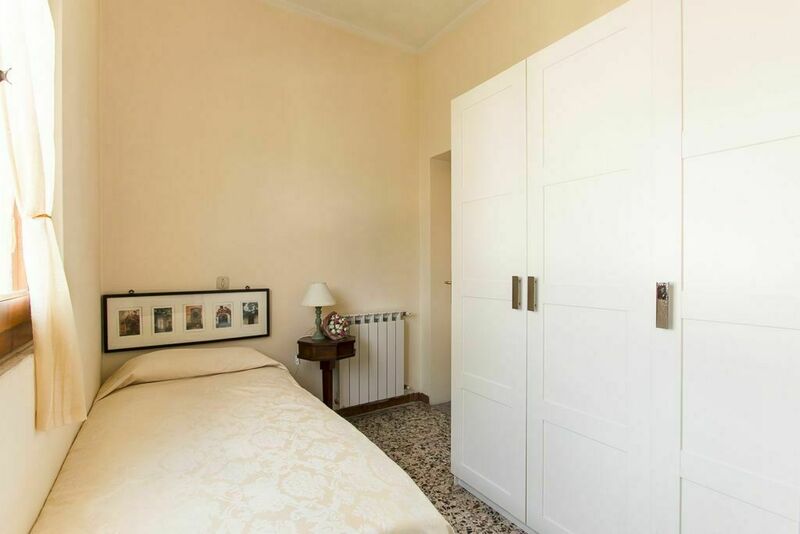 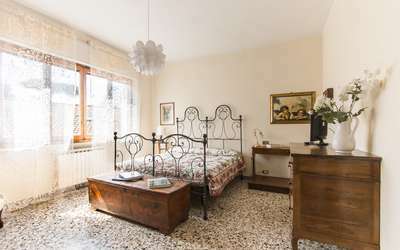 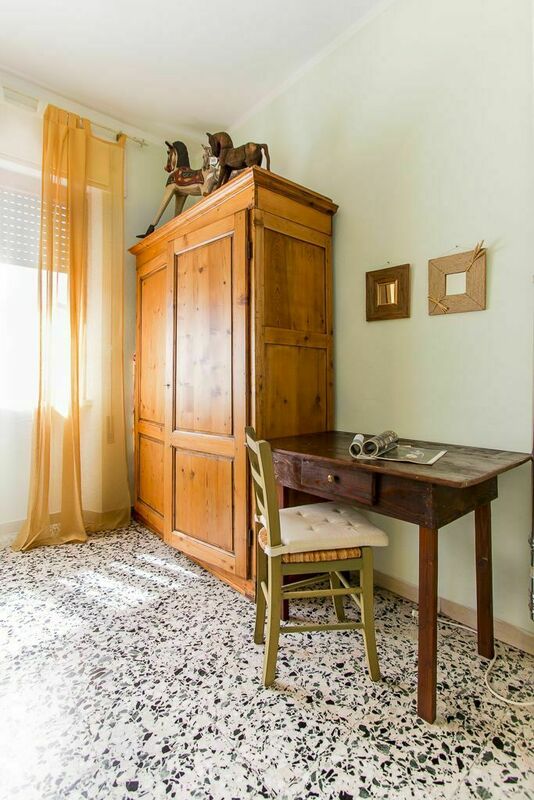 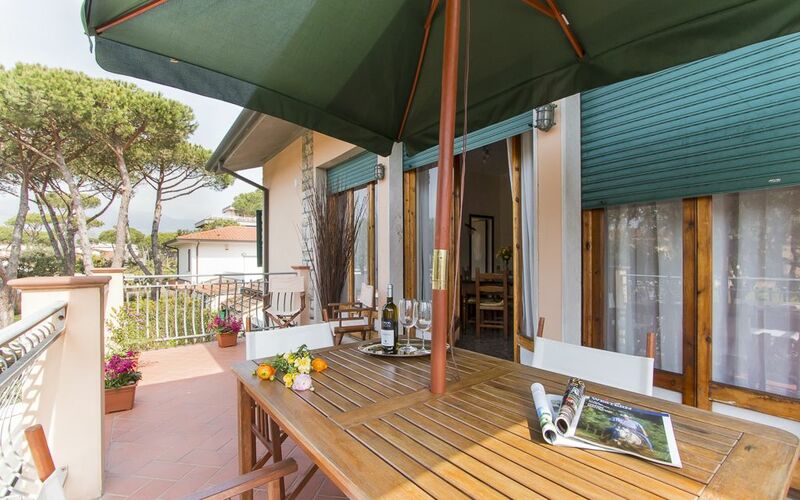 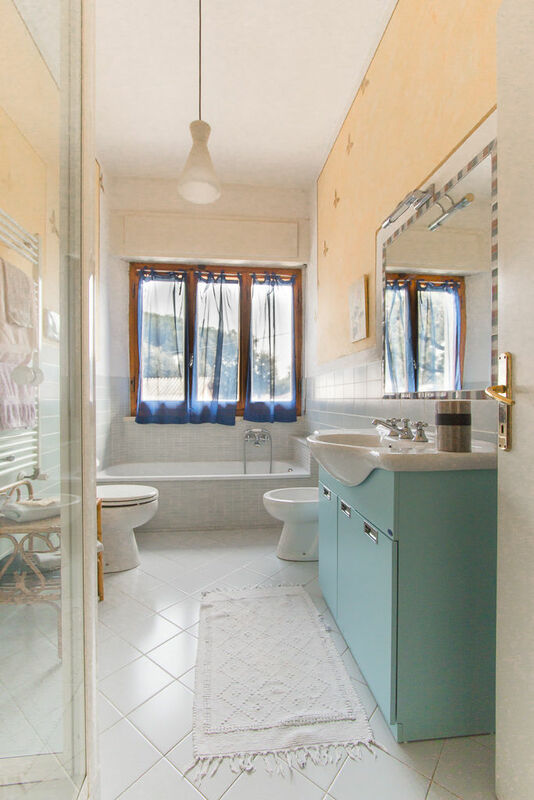 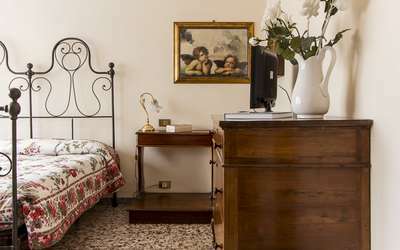 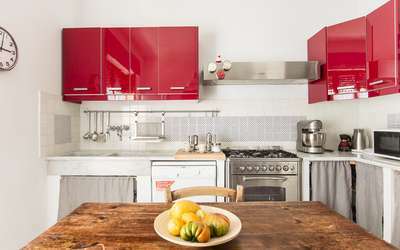 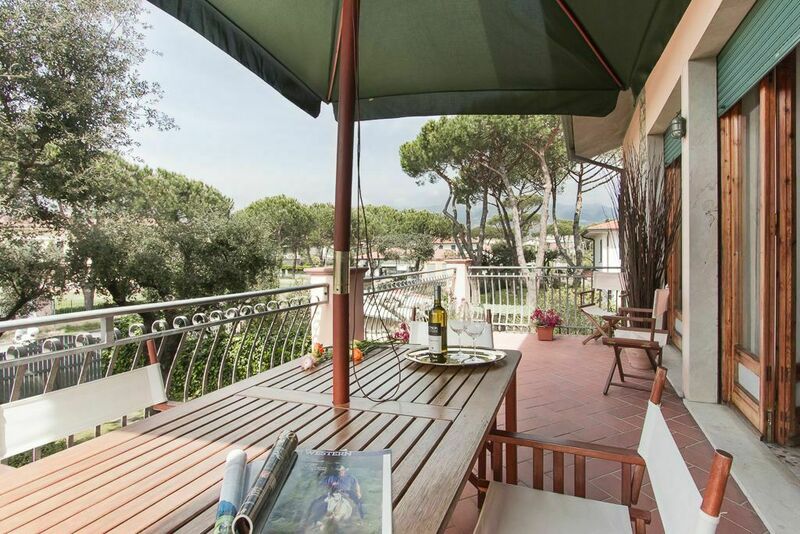 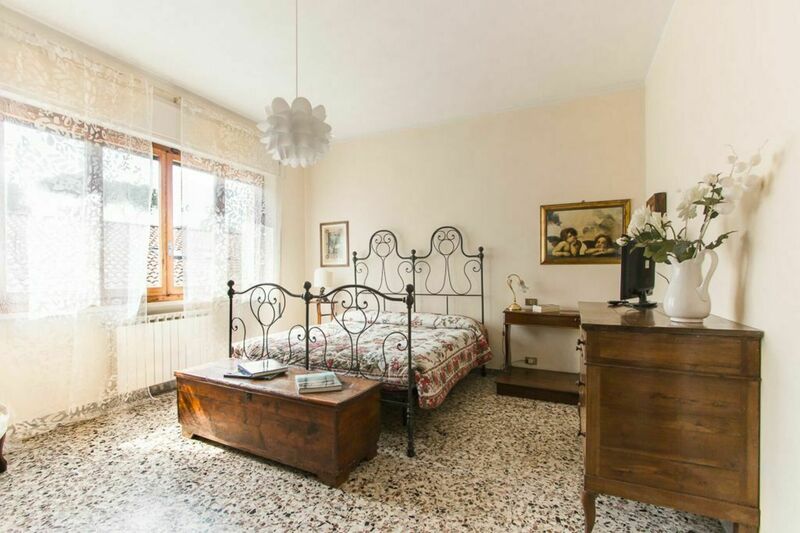 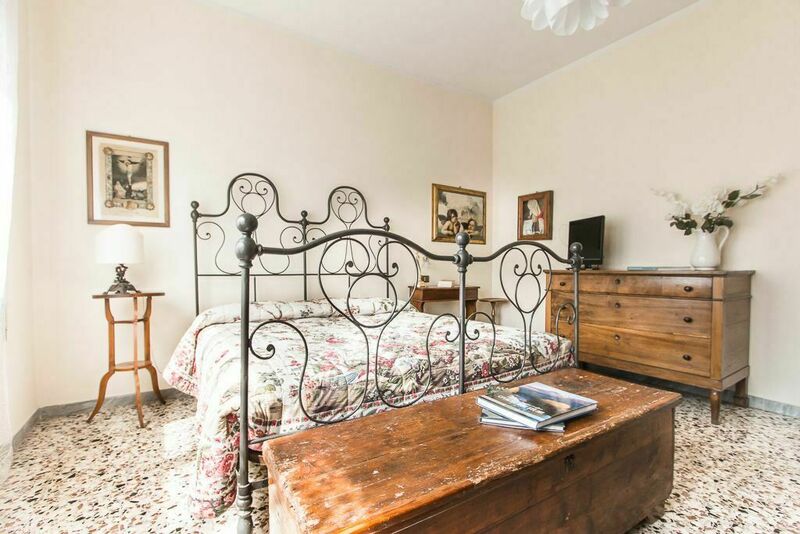 Holiday apartment for 5 people placed on the first and last floor at about 100 meters from the sea in Cinquale, Montignoso on the border with Forte dei Marmi. The sea is reachable on foot in 1 minute and nearby there are shops, ice cream shop, bars, restaurants, pharmacies and tobacconist. Entrance through the gate, parking inside, with private garden of about 200 square meters. 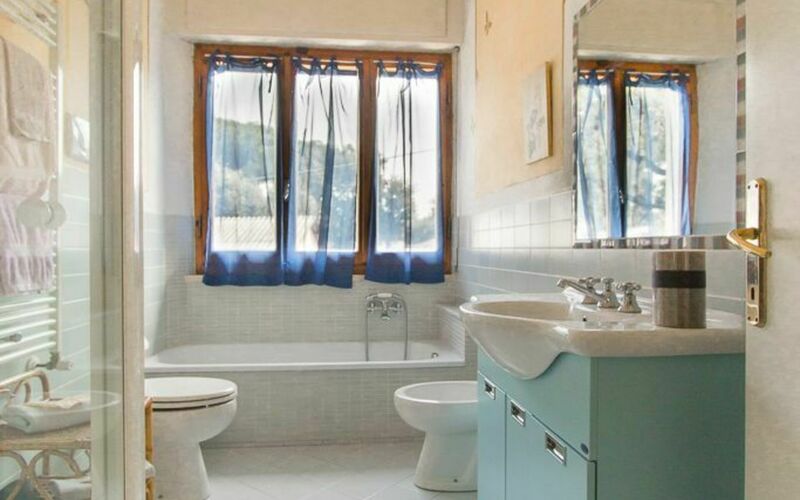 A stairway brings you to the first floor. 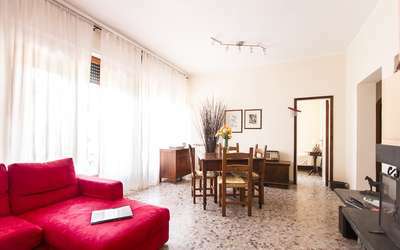 - large living room with TV, sofa, dining table and door to terrace. 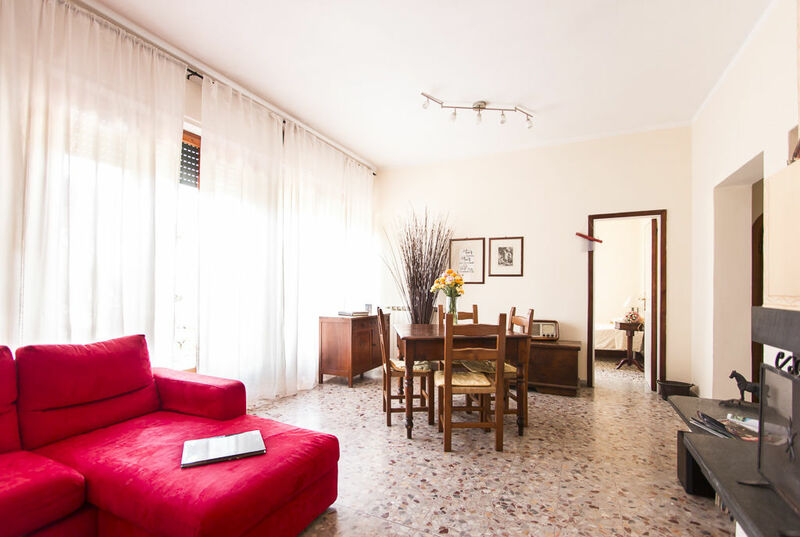 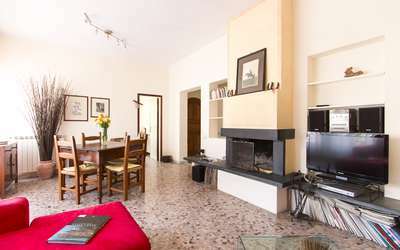 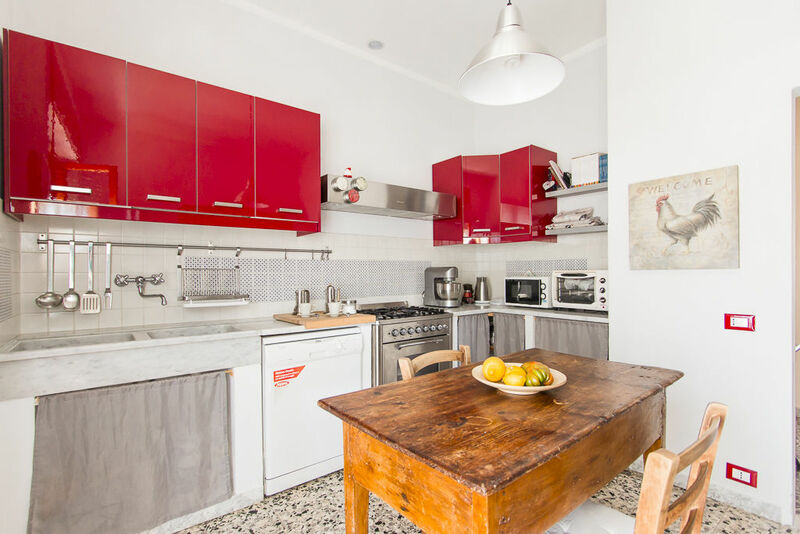 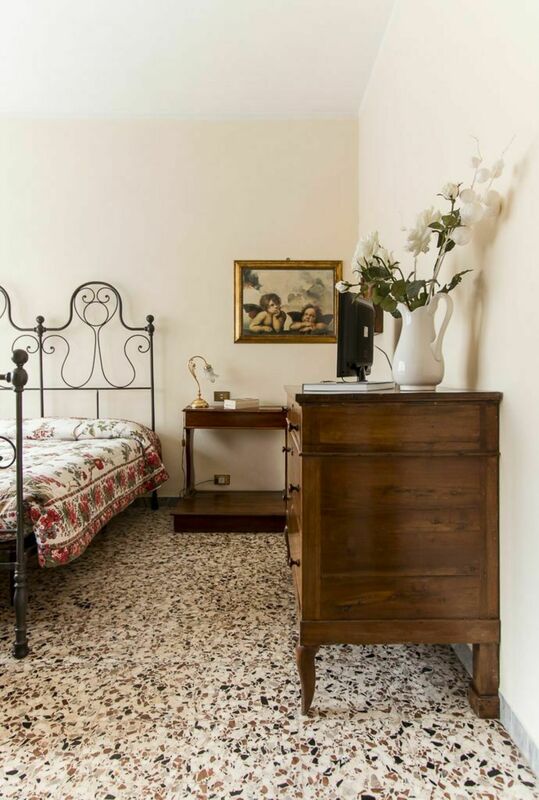 - large terrace of 20sqm with dining table and umbrella. 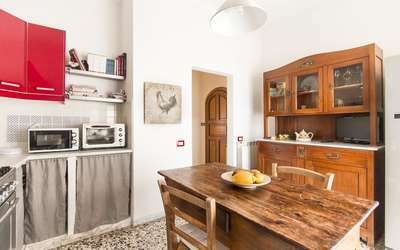 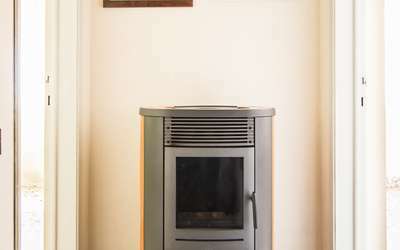 - Kitchen with microwave, oven, fridge / freezer, dishwasher, dining table. 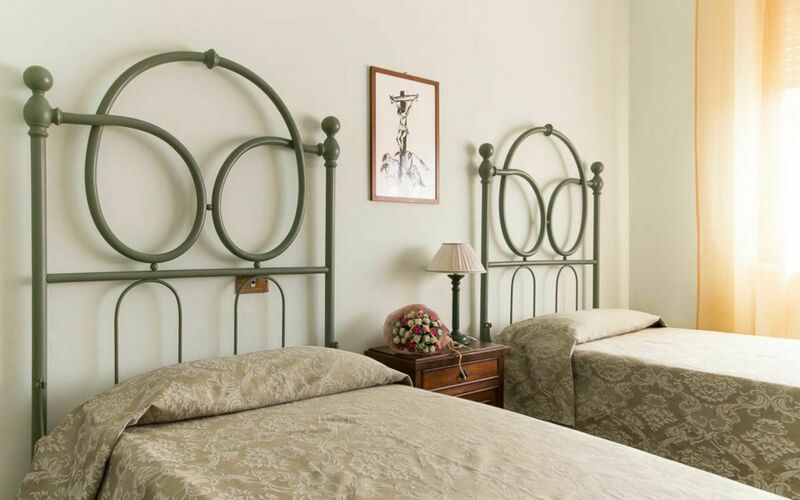 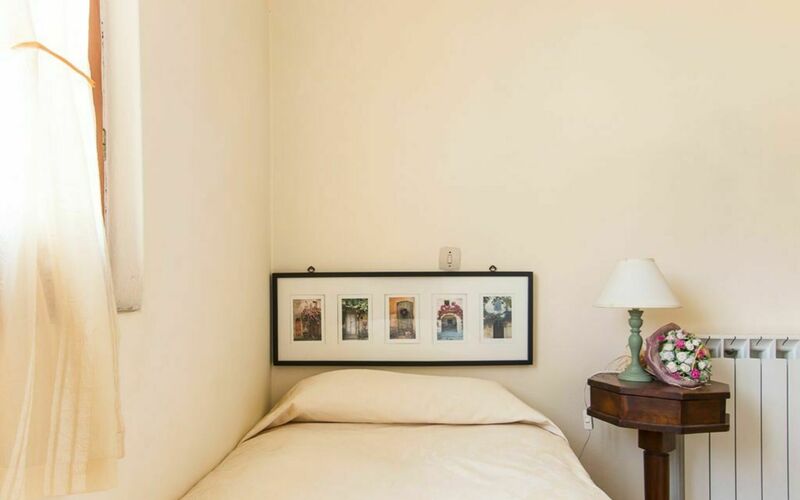 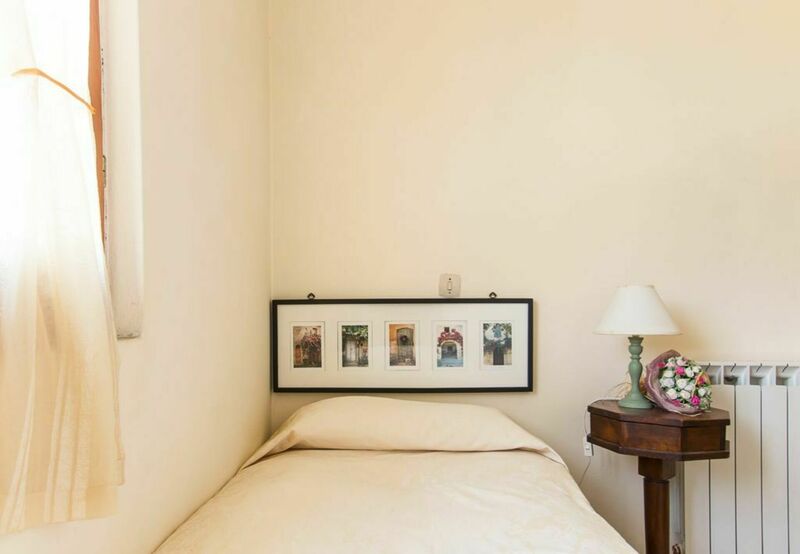 - One bedroom with 2 single beds.